She is often show as first daughter behind Akhenaten and Nefertiti. Nefernefruatentasherit. The fourth daughter. She is not very well attested. Nefernefrure. The fifth daughter. 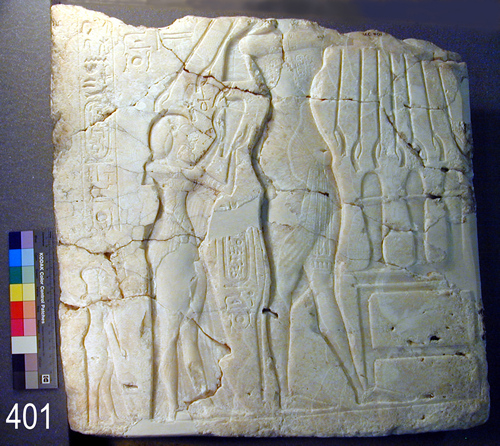 There is a seal impression from Amarna, which mentions her tomb chamber (Khouly/Martin 1987: 8). Therefore it can be assumed that she died early. Setepenre. The last daughter. She is not very well attested. Tutankhaten. A king's son Tutankhaten is mentioned on a block found at Hermopolis. Tutankhaten later became king and his name was then changed to Tutankhamun. 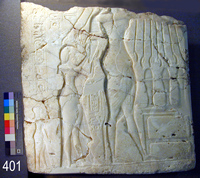 King at the end of the Amarna period; only known from a few sources. On some monuments he is mentioned together with Merytaten.